Fine dishes made from the freshest ingredients. Our menus provide a variety of classic dishes with something for everyone in the family to enjoy. 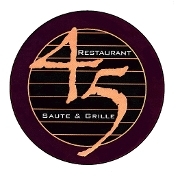 Diners can enjoy a variety of steaks, fresh seafood, classic and unique pasta dishes, homemade pizza and more with fast and friendly service. 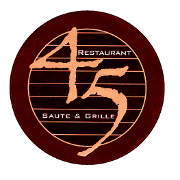 Place an order online or Contact us via email management@45restaurant.com or call (508) 533-8171 with function or catering inquiries, to place a take-out order or to make a reservation. We look forward to assisting you!